Mutton stew and dishes of boiled potatoes, cabbage and blood-pooding sausages forming the notion of Ireland, today the culinary world of the Emerald Isle of Europe attracts gourmet lovers from the whole world. Here at John’s Oven Cleaning we are very excited about the upcoming St. Patrick day.. It’s a heavy month for us, with oven cleaning jobs pouring all over the place. That’s mainly because March is packed with holidays that require lots of cooking sessions. St. Patrick is no exception. The meaty oven-cooked dishes can easily leave lots of food splatters and spills. We know that’s bad – the dirty burnt-on stains not only lower the efficiency of your stove, but also mess with the normal taste of your meals. That’s why proper oven cleaning prior to the holidays and shortly after them is highly important and shouldn’t be neglected. 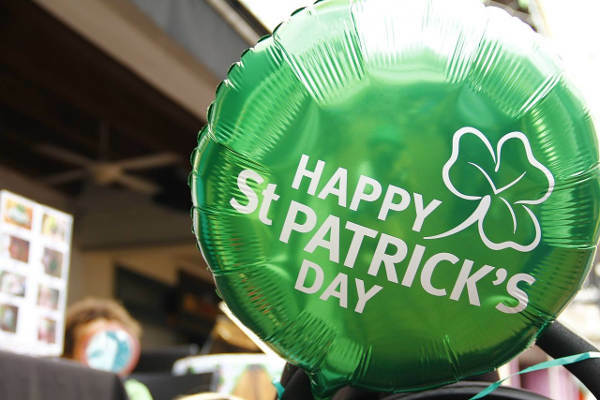 So, in the light of the holiday, let’s see a brief history on St. Patrick’s Day and the cuisine traditions, kept almost intact for centuries. The base of the Irish kitchen from its dawn till today is made of meat and diary, together with the seafood in the coastal regions. Thanks to the Normans during the VIII C, the vegetables claim their main role of the menu. The history and gastronomy of Ireland wouldn’t be the same, if at the end of the XVI century, the Spaniards didn’t import the potatoes from South America into Europe. From this moment on, Solanum tuberosum change the European cuisine entirely. The Irish were the first ones who began cultivating them as the main crop. Up until 1770, the sorts cultivated on the island were called with the collective Irish potato name. During the XVIII century, all main dishes were cooked with potatoes. Thanks to the fact that many more people have the opportunity to farm lands and grow potatoes, only for a couple of centuries, the island’s population rises by 7 mln people. Apart from well-being, Solanum tuberosum are also a curse for Ireland. In 1845, the potato crops in West Ireland were struck by a disease that destroys the whole harvest and leads to disaster, known as the Great Famine. During the next three years around 1 mln people die from hunger whereas more than 2 mln emigrate. The Irish folk number halves but the potatoes still remain the most important produce. Until today. The good news is that the Irish cuisine doesn’t consist of a seven-course potato menu. The dishes offered in the traditional restaurants in Dublin and inside the country are Irish favourites all around the world. Whereas their diaspora is one of the biggest: around 80 mln people. No matter on which continent they are, the Irish are known for their unconditional love towards soda bread, mutton stew and potato pancakes. The famous Irish bread is made of soda, not yeast, since the flour on the island is very mellow. 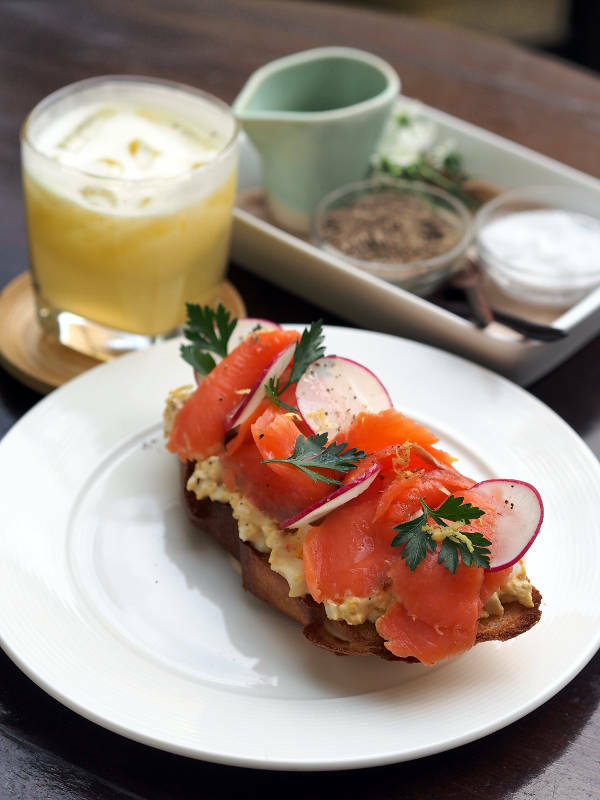 The crunchy soda breads are irresistible when buttered and garnished with smoked salmon. The bread is a part of the Irish breakfast, too. According to the tradition, it includes oatmeal with milk, fried eggs, slices of bacon, sausages, blood pooding, boiled potatoes and fried tomatoes, washed with tea or coffee. Instead of soda bread, they can offer you baked bread slices and butter or jam muffins. “What butter and whiskey does not cure, cannot be cured”, claim the Irish. They are right, at least, for the whiskey, and, as it seems, for butter and cheese, too. Even their language testifies for how important diary is: the words for a “boy” and a “road” originate from the word for a “cow”. During the last couple of decades more and more farms pop ou in the southern shires of Irish. They are meant to produce diary and are winners of multiple international awards. The chef-masters in this region of the island prepare typical meals with the help of French culinary techniques – a tendency, which undoubtedly leads to the new wave in the Irish cuisine. In the southernmost point of the island – the Cork county, is where the gourmet capital of Ireland is located. Several famous culinary festivals take place there. If you are not planning a gourmet tour around the Emerald Isle, you can celebrate the Irish cuisine and everything Irish on 17th of March – St. Patrick’s Day, the Patron of Ireland. Lived at the end of the IV till the beginning of V century, St. Patrick wasn’t born on the island, but in Britain. The legend tells, he was kidnapped by Irish outlaws and enslaved in Ireland. During his slavery, he adopted Christianity and, when several years later he managed to escape back to Britain, he became a priest. After a while, he returned to Ireland as a missionary and began spreading the Christian belief amongst the heathens and building churches. Every year on 17th of March, the Irish note the day of their patron’s demise: they visit public worships, they gather together with friends and families. Trusting the saying: “There are two people in this world: Irish and those who want to be Irish”, they celebrate the uniqueness of everything connected to their country. 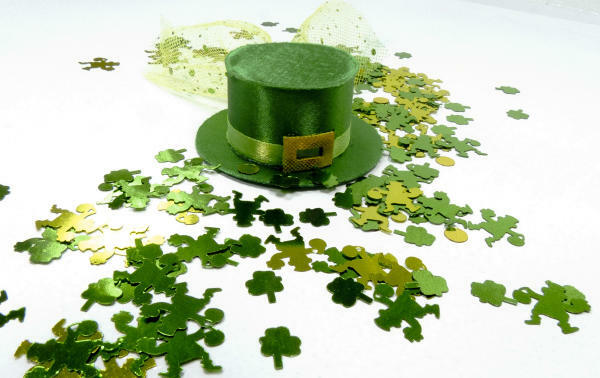 The people dress in green and carry green hats – a symbol of the mythological leprechauns who grant three wishes in exchange for their freedom. Their cities glow with green lights and you can see three-leaf shamrocks everywhere. The Irish shamrock, Trifolium repens, is a symbol of the country and of St. Patrick’s day, who uses it in his gospels to explain the Holy Trinity. 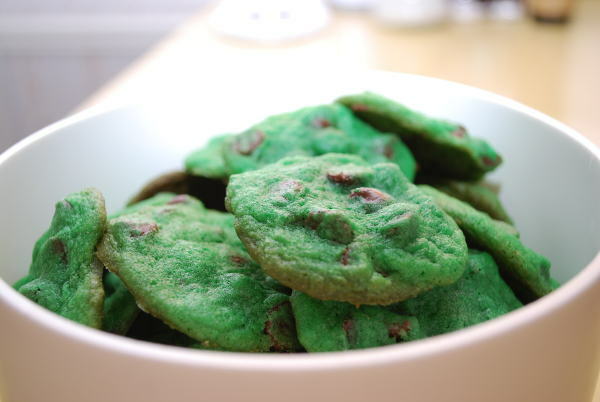 That’s why the sweets on the holiday are decorated with shamrocks or are shaped as them. Before everything else, Irish love cooking typical meals on the holiday. The breakfast might not be the pure kind of Irish breakfast, but it will surely include bacon, eggs, tomatoes and soda bread. Amongst the emblematic meals, an important role takes the colcannon – boiled potatoes with cabbage. 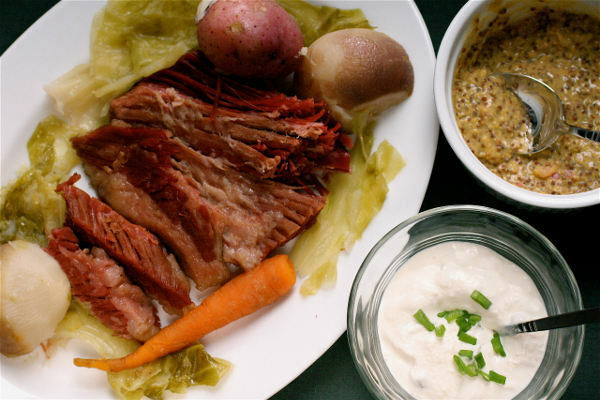 The love for cabbage amongst Irish is old – it is featured in many recipes and the most famous one is boiled bacon with cabbage – also makes the table for St. Patrick’s. The lunch is rich and, surprise, traditional. If you ask somebody what’s the first Irish meal that pops into their mind, you’ll probably receive an expected answer – mutton stew. The famous stew with potatoes, onion and thyme is cooked with two bottles of Guinness beers – one to add when the meat darkens, while the second is meant for the chef. Still, cooking stew takes a lot of time! 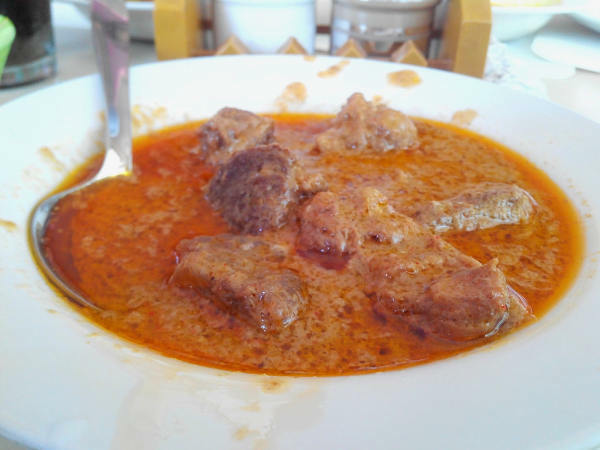 The mutton can be replaced by lamb and the recipe tells no carrots should be involved. Even if you visit the island for a short time, you’ll notice that the meat – pork, beef or lamb, is the main event of every menu, especially on St. Patrick. St. Patrick’s day can’t be celebrated without seafood. The Irish often describe themselves as having their backs resting on the sea. And that’s not an accident – today, the country exports ¾ of all fish caught. Despite the seafood abundance, until recently the better part of the Irish ate fish only on Fridays and at holidays, due to religious beliefs. But you simply can’t miss the famous smoked salmon, the seashells, crab and oyster dishes, accompanied by the necessary pint of Guinness. During the evening, the festivities move to the pubs, where the atmosphere is craic – warm and friendly, washed with a glass of whiskey or stout beer, harmonised with warm potato soup and meat bites. Because “There are no strangers here; Only friends you haven’t met yet”, an old Irish saying tells. Post provided by John’s Oven Cleaning ™. This entry was posted on Friday, March 11th, 2016.